It’s been an exciting start to the year for us so far…January began with Ben accompanying cargo to Fortnum & Mason’s for the first time. Shoppers in the impressive foodhall enjoyed their first taste of our food and Ben helped our products settle into the deli counter. February saw us sending a stack of Glamorgan Crumbles to the London Welsh Centre (Gray’s Inn Road) in time for the Wales v England match. The Glamorgan Crumble proved perfect comfort food for fans watching and will be available at the Centre for the rest of this season’s fixtures too. We also attended the Centre’s first Welsh Emporium event a week later, which was a fantastic success for us and all the other Welsh producers and creators selling their wares that day. 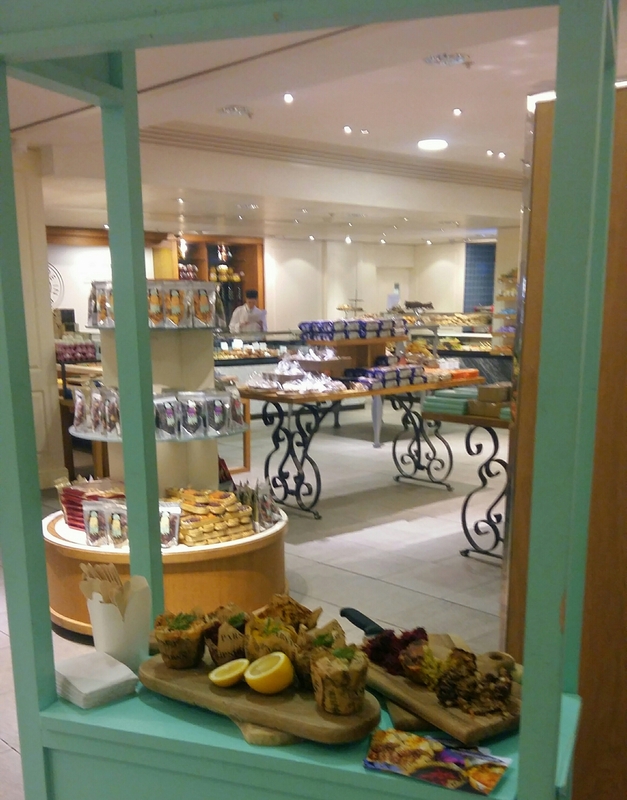 An early morning peek at Fortnum & Mason’s foodhall before our launch day got underway.